The natives are restless in Britain and its Tory masters are anxious. Not because the World Cup beckons and the humiliation of its national football team is being predicted. That is normal. What really worrries the patriotic Brit is the Eurozone and Europe. To secure the Eurozone, more integration will be needed between member states. 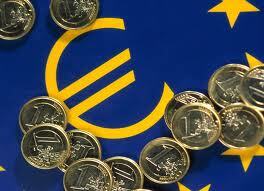 If successful it would create a Europe so powerful it could insist on Britain joining the Euro. Imagine the humiliation for David Cameron and George Osborne if they had to become subservient to the Germans and abandon the pound. There would be no TV repeat of ‘The Great Escape’ that week. But the alternative is almost as bad because if the Eurozone fails there will be an economic crisis as bad as the one that wrecked the first half of the twentieth century. A Europe dominated by Germany with common welfare and fiscal policies would for many Brits be unbearable. 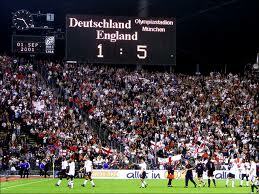 A few years back the England football team beat Germany 5-1 on German soil. The result was so good and unexpected many football fans assumed immediately there would be a price to pay. They imagined the team being played off the park in a future competition which, of course, happened but the idea of a super European state where Germany becomes the common language already has the Daily Mail foaming at the mouth. This is serious enough for life long lefties to feel sorry for the Tories. Most, though, are like me and enjoy the spectacle. All of which, to quote the Guardian, ‘just about makes Angela Merkel the most important woman on the planet.’ Inevitably, the critics, as they did with Elvis, have insisted she is a pretender. She has been compared to Thatcher and found lacking. She supposedly lacks the charisma and the bold strategies of Thatcher. There has been debate about how a politician who demonstrated supreme opportunism in her rise to power has subsequently been cautious and uninspired. Some of the criticism has been sexist. Even the article in the Guardian described her as irredeemably frumpy. Their criterion for redemption was not explained. 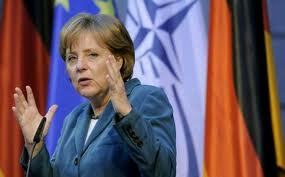 I am not a fan of Merkel. The survival skills of politicians do not impress people like me, probably because we do not have any. Her right wing politics which she has insisted upon with a narrow conviction worthy of George Osborne have always appeared uninterested in the fate of those who have not been blessed with her opportunities. Whatever the political system, whatever the country, East or West Germany, this is a woman who has spent most of her life pursuing solitary ambition whilst demonstrating a willingness to tell others how they should live. But the comparison with Thatcher is unfair especially when it is made unflatteringly. Thatcher was destructive while Merkel attempts to be concilliatory and constructive. The two leaders are compared for one reason only. They are both women and it speaks volumes about the attitudes of political commentators that they are tempted by such easy comparisons. Merkel should be compared to Obama. Their social conscience is perhaps shaped in different ways, Obama responds to what is happening to people while Merkel is keen to acknowledge theory, and their politics are different. They are, though, similar figures with an almost identical cautious political approach. Always, they both act like people who want to save their gunpowder. Both these politicians, like Elvis, were obliged to disappoint. To understand why, we have to distinguish between the characteristics that make people become successful and those that help them later be successful. Merkel was at her best carving her political career. She knew when to support and when to challenge. She trod a careful line in East Germany but was active with propaganda for the local party when needed. Her dramatic and career forming moment in West Germany was when she challenged Helmut Kohl with a letter that insisted on a complete break with the past. This counter cultural moment was worthy of Mao but Merkel has been reluctant to acknowledge any influences. Subsequently, as a leader she has been cautious and, so far, appears unwilling to shape history. The same charge has been made against Obama. Both characters, though, work in political systems that restrict them and so we will never know whether they have an appetite for defining the future. They will fade from power and become elusive mysteries. These factors shaped the career of Elvis Presley. Like Merkel and Obama he was better at becoming successful. At the critical moments, and the seventies decade can be described that way, the task of being successful and managing history appeared to be beyond him. Fortunately, for Elvis he had four opportunities when he could use his skills for becoming successful. These were his debut at Sun, his arrival at RCA, his return from the Army and his comeback in 1968. In these periods, like Merkel and Obama in politics, his rivals were no match for him. The same sense of elusive mystery that will be the legacy of Obama and Merkel is the same as that endured by Elvis fans. Why could he not have been more successful when he became eminent and powerful? What happened to the previous opportunism and flair? I accept his nature had consequence but one clue exists in the word ‘powerful’. This is why the legacy is a mystery. Obama, Merkel and Elvis all operated in systems that had factions and each of the three was accountable to those factions. Obama has Congress, the Senate, the media, the Executive and the Democratic Party. Elvis had Parker, Bienstock and BMG, Hollywood and the demands of his fans for glamour. Ian Hunter from Mott The Hoople once remarked that the problem with being a famous musician is that it soon becomes like work. When you are only half successful you can turn up at the next club and simply play what makes you happy. This is probably true but when you are in the very big league, the league of Merkel, Obama and Elvis it is much more complicated than that. There is compensation of course and it consists of fame and comfort. If you are positive you will appreciate the satisfaction of knowing that your legacy will exist to baffle the rest of us but if you are self-critical, like Elvis, you will destroy yourself. 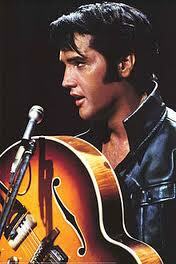 Elvis had a responsibility to continually realise his talent for achieving the transcendental in his music. This required stamina beyond him but his efforts in four key perfiods and in other instances are enough for me to stay loyal.